There are 7 reviews of Tacit. A nice summery vetiver. There's a citrus open which I find fairly fleeting and then a move through a crisp green phase (the notes say basil but I don't get that specifically) and then a grassy vetiver dry-down. Very little sillage / projection but a nice vetiver freshy for the summer months. A delightful scent. Without reading the note pyramid, I picked up a leafy orange top, a sort of anise accord (the basil, I guess) and vetiver. I didn’t expect to like this as much as I do. I’m not the biggest fan of basil - reminds me too much of cooking spices - and in the mid-notes this drifts close to that “cooking” feeling, but the vetiver is a nice foil. I also find many vetivers too abrasive (grey vetiver gives me a migraine, for instance), but this is well-mannered throughout. Longevity is excellent. It is light, sure, but that’s part of the appeal. 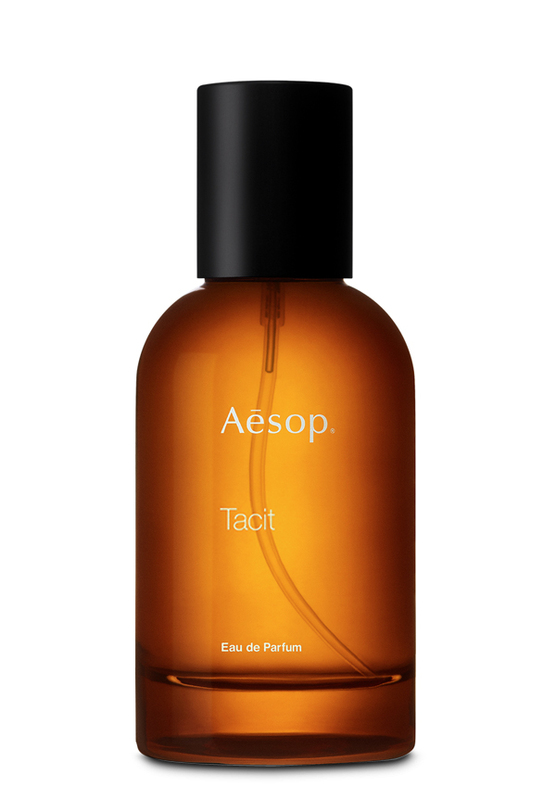 Aesop does a great job of creating “natural” smelling fragrances, and Tacit is no exception. Ho-hum citrus-resin with minimal sillage and a sweet drydown. This is very similar to Tom Ford's Grey Vetiver EDT which is underwhelming to me. A somewhat boring fragrance that stays linear throughout it's lifespan. I read the reviews and was interested in something new from Aesop but was sadly disappointed on how it developed (or didn't) on my skin. With so many great fragrance performers out there don't waste your money on this act. This is a very good scent -- subtle, and for green fans. Has a bright, refreshing citrus opening. The citrus in question is yuzu, which I find usually has a green edge to its lemony character. The scent develops its basil note, and this too is light, crisp and invigorating. So far, we have a classic cologne in style, reminiscent of Eau D'Orange Verte with greener, more herbal notes. Grassy vetiver appears in the dry-down, and the scent is green throughout its life. Light, subtle ("elusive" is suggested on the ad copy), very natural and pleasant to wear. There are no member images of Tacit yet. Why not be the first?